Finish your leather designs in style with the Regaliz antique silver-plated rectangle magnetic clasp. This clasp features slots on both ends that you can easily glue leather stringing material into. The sleek rectangular design is the perfect complement to trendy leather designs and the shining silver polish works with any color palette. You can use this clasp with one strand of Regaliz 10mm flat leather or two strands of Regaliz 5mm flat leather. This clasp hooks together with a strong magnet, so your designs will stay secure. Finish your leather designs with stunning style using the Mini Regaliz antique copper-plated magnetic clasp. This clasp works perfectly with the Mini Regaliz oval leather, since the ends of the clasp feature a half moon-shaped slot. When closed, this clasp looks sleek and refined. The strong magnet ensures this clasp remains secure and in place. Glue your leather into the open slots at the ends of the clasp and you'll have a trendy bracelet in no time. This clasp features a warm, coppery shine that will work well with rich leather colors. When you are working with thick stringing material, you need a sturdy finishing piece like this Regaliz clasp set. This clasp features a sleek, silvery design and an ingenious hooking mechanism. When you try to tug the two components apart from the sides, they stay locked in place. However, when you try to pull them apart vertically, they come away from each other easily. This means that they will make sure your jewelry stays in place until you want to take it off. Use glue to attach this clasp set to designs using Regaliz oval leather. Complete your leather looks with this Regaliz antique silver-plated rivet magnetic clasp. This clasp features open slots on both ends that you can easily glue leather stringing material into. The sleek and contemporary design is the perfect complement to trendy leather material. Each end of the clasp features two rivet designs stamped into the surface for a modern look. You can use this clasp with one strand of Regaliz 10mm flat leather or two strands of Regaliz 5mm flat leather. The silver shine is sure to complement any color palette. Accent your designs with a bright finishing touch using the Mini Regaliz antique silver-plated magnetic clasp. This clasp works perfectly with the Mini Regaliz oval leather, since the ends of the clasp feature a half moon-shaped slot. When closed, the clasp lays together to create one sleek shape. The strong magnet ensures this clasp remains secure and in place. Glue your leather into the open slots at the ends of the clasp and you'll have a fashionable bracelet in no time. This clasp displays a stunning silver shine that will work with any combination of colors. Create timeless texture in your designs with the Regaliz 23.5x13.5mm Antique Brass-Plated Checkerboard Magnetic Clasp Set. This clasp features a textured surface full of rough indentations. It's the perfect complement to rich leather stringing material. This clasp is made to fit Regaliz 10mm flat leather and features two open slots at either end to glue the leather in. It can also be used to secure two strands of Regaliz 5mm flat leather. Two strong magnets ensure this clasp stays closed when worn and make it easy to use. This clasp features a dark gold shine for timeless appeal. Complete your designs with a sleek choice using the Regaliz 17x8mm Antique Silver-Plated Pewter Plain Magnetic Clasp Set. This small clasp features slots on both ends that you can easily glue leather stringing material into. This clasp fits Regaliz 5mm flat leather nicely. The sleek rectangular design is the perfect complement to trendy leather designs and the shining silver polish works with any color palette. This clasp stays secure with the help of a strong magnet. When you need a modern and bold look, go for the Regaliz 22x23mm antique brass-plated large magnetic clasp set. This square-shaped clasp features two halves that come together to create a smooth shape. The strong magnet will hold the clasp in place. Wide slots on the ends of each half are perfect for use with two strands of 10mm flat leather or four strands of 5mm flat leather. This clasp features a dark gold color, perfect for pairing with earthy tones. Give your designs textured dimension using the Regaliz 10x2.5mm antique copper-plated checkerboard magnetic clasp set. This clasp features a textured surface full of rough indentations. It's the perfect complement to rich leather stringing material. This clasp is made to fit Regaliz 10mm flat leather and features two open slots at either end to glue the leather in. It can also be used to secure two strands of Regaliz 5mm flat leather. Two strong magnets ensure this clasp stays closed when worn and make it easy to secure. This clasp features a warm copper coloring, perfect for pairing with earth tones. Give your leather designs a sleek finish with the Regaliz 13x25mm antique silver-plated magnetic clasp set. This clasp fits Regaliz oval leather perfectly. It features a soft silver shine that is sure to work with any combination of colors. This clasp closes with the help of a very strong magnet, so your designs will always stay secure. Use an adhesive to attach this clasp to projects. Add sleek texture to your designs with the Regaliz 10x2mm antique silver-plated checkerboard magnetic clasp set. This clasp features a textured surface full of rough indentations. It's the perfect complement to rich leather stringing material. This clasp is made to fit Regaliz 10mm flat leather and features two open slots at either end to glue the leather in. It can also be used to secure two strands of Regaliz 5mm flat leather. Two strong magnets ensure this clasp stays closed when worn and make it easy to use. This clasp displays a lovely silver shine, so it will work with any color palette. Add mystical style to your designs with the Regaliz antique silver-plated hams hand magnetic clasp for 10mm flat leather. This clasp features slots on both ends that you can easily glue leather stringing material into. The sleek rectangular design is the perfect complement to trendy leather designs and the shining silver polish works with any color palette. It features a hams hand carved into the surface. You can use this clasp with one strand of 10mm flat leather or two strips of 5mm flat leather. This clasp hooks together with a strong magnet, so your designs will stay secure. Add a fun finishing touch to your leather designs with the Regaliz 10x3mm antique silver-plated pewter flower print rectangle magnetic clasp set. This sleek clasp features slots on both ends that you can easily glue leather into. Two passes of Regaliz 5mm flat leather or one pass of Regaliz 10mm flat leather will fit. The front of this clasp features floral shapes engraved into the surface. This clasp is held together by two strong magnets. You can use this clasp with any color combination, as it features a versatile silver shine. Please note that magnets should not be worn with pacemakers. Keep the style going in your designs with this Regaliz magnetic clasp. This clasp set is rectangular in shape and the front is decorated with a Greek key pattern, for geometric style you can't pass up. Both sides of the clasp are held together with a strong magnet. When worn, this clasp is easy to take on and off. 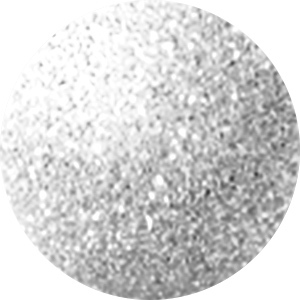 It features a versatile silver shine that will work with any color palette, so use it today. It will work with one strand of 10mm flat leather or two strands of 5mm flat leather. Finish designs with simple and warm style using the Regaliz 21x12mm antique copper-plated magnetic clasp set. This rectangular clasp features slots on both ends that you can easily glue Regaliz 10mm flat leather into. The non-descript design is the perfect complement to trendy leather. This clasp features a dark copper color filled with warm red-orange tones. It would look beautiful with earthy colors. This clasp stays secure with the help of a strong magnet. You can complete your designs with rich accents using the Regaliz 13x25mm antique copper-plated magnetic clasp set. This clasp fits Regaliz oval leather perfectly. It shines with a warm copper color full of rich shine. This clasp closes with the help of a very strong magnet, so your designs will always stay secure. The sleek design of this clasp is sure to complement any trendy leather design. Use an adhesive to attach this clasp to projects. Create a bold look with the help of the Regaliz 9x2.7mm antique silver-plated flower hook clasp. This clasp features a unique shape that works well in bracelet designs, creating the perfect curve around the wrist. Simply insert your leather into the open slot on one end and create a wrapped design that you can secure by tying to the stud at the end of the clasp. The stud is shaped like a flower, for a little bit of stylish flair. This clasp will work with Regaliz 5mm flat leather. This hook comes in a soft silver shine, a versatile tone that will work with any color palette. Try it with colorful leather for a spring-inspired look. Add distinct style to your designs with this Regaliz clasp. This rectangular clasp features a beautiful geometric pattern on the front reminiscent of patterns found in the Southwestern style. It's sure to dress up any look. You can use this clasp with two strands of 5mm flat leather or one strand of 10mm flat leather. It features a warm copper glow that would look right at home with turquoise blue and red tones. Let designs stand out by adding a simple finishing touch with the Regaliz 21x12mm antique brass-plated magnetic clasp set. This rectangular clasp features slots on both ends that you can easily glue Regaliz 10mm flat leather into. The non-descript design is the perfect complement to trendy leather. This clasp features a dark golden brown coloring, which always looks great with the rich tones often found in leather. This clasp stays secure with the help of a strong magnet. Put a timeless finishing touch on your leather designs with the Mini Regaliz antique brass-plated magnetic clasp. This clasp works perfectly with the Mini Regaliz oval leather, since the ends of the clasp feature a half moon-shaped slot. When closed, this clasp displays a sleek shape. The strong magnet ensures this clasp remains secure and in place. Glue your leather into the open slots at the ends of the clasp and you'll have a stylish bracelet in no time. This clasp shines with a brassy, dark gold color that will add a classic feel to any design. Complete your trendiest leather designs with the perfect finishing touch using the Regaliz 18x10x14mm antique copper-plated magnetic clasp set. This bold clasp features an industrial design for modern flair in all your projects. This chunky, contemporary look is the perfect complement for leather. This clasp is made to fit Regaliz oval leather perfectly. The clasp has a sleek design, so you can't even tell it opens and closes. The strong magnet ensures your designs will always stay secure. This clasp features a dark copper coloring, perfect for accenting earthy tones. Accent your designs with bold style using the Regaliz 18x10x14mm antique brass-plated magnetic clasp set. This clasp features an industrial design with thick style elements that would look great with leather stringing material. This clasp fits Regaliz oval leather perfectly. This clasp closes securely with the help of a very strong magnet, so your designs will stay where you want them. It features a dark gold shine with timeless appeal. Give your leather designs a unique finish with the Regaliz 10x2.5mm antique silver-plated horse shoe clasp set. This clasp will make your designs look professional and polished every time. The side without the horse shoe features two open slots for Regaliz 10mm flat leather to fit through. Push the end of your leather through the closed slot then slide the other end through the open slot to form a loop at the end of the slots. Add the horse shoe part of the clasp to the open end of the leather. You can now hook the horse shoe through the looped leather. This clasp can also be used to secure two strands of Regaliz 5mm flat leather. This hook features a silver shine, perfect for pairing with any color palette.